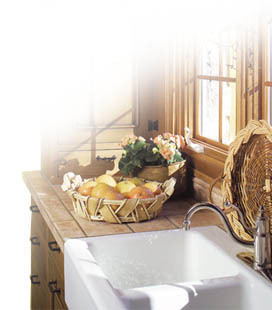 Design Times, Inc. - Denver, Colorado - Our complete line of fine products from leading kitchen and bath manufacturers. Design Times Inc. knows that rooms that play off of your home’s style require unique products. That’s why we represent top-quality custom cabinetry manufacturers, complemented by appliances, flooring, countertops, plumbing fixtures, window treatments, and more to create the room that’s right for you—and your home. Design Times represents cabinetry by Plato Woodwork, Harlan Cabinetry, and Dutch Made, as well as locally crafted custom cabinetry. Our manufacturers’ “can do” attitude means that your cabinets will give you the storage you need with the look you want. Select the wood species that suits you best, with framed and frameless designs in ash, cherry, maple, walnut, knotty alder, and more. Convenience features like slide-out wicker baskets, spice drawers, and fine hardware options lend a welcoming usability to your kitchen. For both the modern and the vintage, let burgundy cabinets with copper tops or uncomplicated Shaker designs take centerstage in your home. We don’t stop at teal-and-white checkerboard flooring. Design Times has access to all brands and manufacturers for countertops, flooring, plumbing fixtures, lighting, and appliances. Let us help you decorate your newly renovated room. Full service design means that window treatments, furniture, and wall coverings will be as functional and stylish as the room itself.